At the age of 23, this man thought to be the youngest person to be diagnosed with Dementia in UK. Jordan Adams has been told he has inherited a gene that causes both early dementia and Parkinson's from his mother. Doctors have warned him he could lose the ability to walk, talk and even eat at any time, even though he feels good and no signs of illness right now. Jordan from Redditch, Worcestershire even warned by his doctor his life would end in his fifties, like his mum Geri, who died at the age of 52. 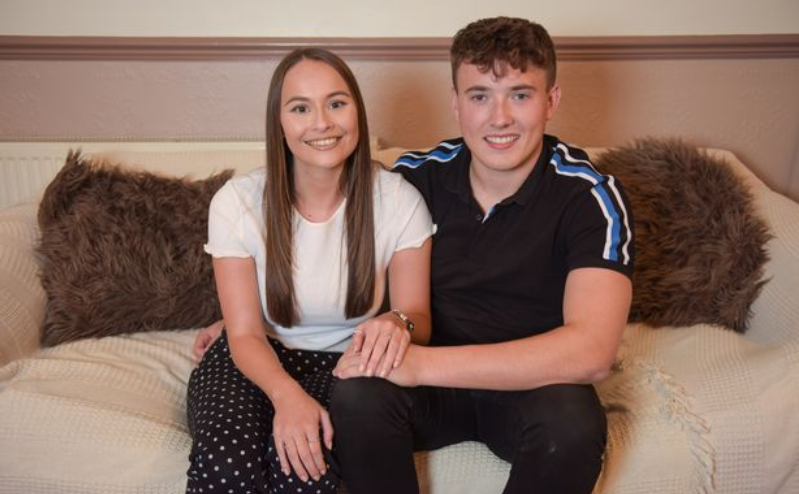 Hearing that sad news about his life, he plans to have his sperm screened for the gene so that he and his girlfriend Lucy Thomas, 21, can start a family before his symptoms develop. He even plans to ravel to Hawai, buying a house, and doing a skydive off a bucket list. Jordan said: “When I was told the diagnosis I was devastated. “We had been in the waiting area for what seemed like hours – it was only 10 minutes but it felt like an eternity. “As soon as I walked into the room I knew it wasn’t a positive result. Nobody can prepare you for that. “If there are no advancements then I’ll have a shorter life than most. It’s like a death sentence. As well as his mum, Jordan’s auntie Ann also died in her fifties. 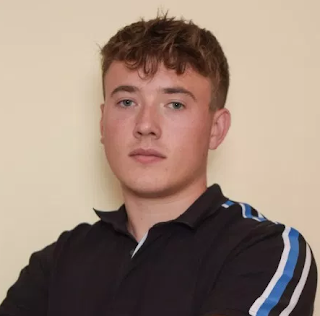 However, Jordan now plans to get his sperm screened for the gene, so he can start a family with his partner Lucy Thomas, 21, while he has no symptoms. He also plans to complete a ‘bucket list’ which includes buying a house, taking part in a sky-dive and going on holiday to Hawaii. Entrepeneur Jordan and his sister Kennedy, 25, both got tested for the gene following their mum’s death. Kennedy tested negative for the gene, but, tragically Jordan was found to be carrying it. Kennedy said: “This disease is hereditary, aggressive, and rare. “I’ve been told you have more chance of winning the EuroMillions than getting it. “But Jordan’s been incredible, and he’s not going to let it destroy him. “When I found out he had the gene, I said if I could have had it instead then I would. “It’s like you’ve got a black cloud over you, but you don’t know when the storm will come. “He has got time, but we just don’t know how much – he has no symptoms yet, but it could start tomorrow. “He won’t get it when he’s old and grey, but when he’s young and fit. It will first strip him of his personality. “He won’t have likes and dislikes and he won’t be able to hold a conversation. Jordan says he has seen first-hand the impact of the illness while he was caring for his mum who was diagnosed in 2010 and passed away in 2016. 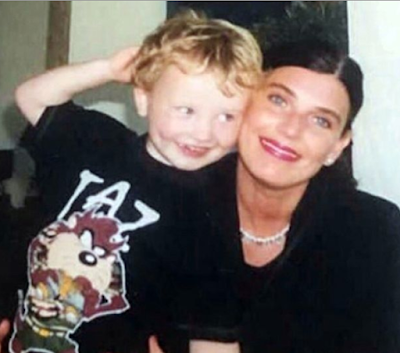 “Mum was full of love and very much a people person,” Jordan said. “No one had a bad word to say about her, she was very kind and lovely. “We’d noticed irregularities in her behaviour. “I remember one Saturday she went to pick up Kennedy from school, but it was a weekend. “Her character changed from being a loving woman and she became quite cold. “She seemed to lack compassion which was a huge change from when she’d covered us in love. “She slowly got stripped of her communication. She couldn’t talk a lot and then she began to lose her mobility and couldn’t go out alone. But Jordan says the diagnosis has given him a unique perspective on life, saying: “I feel like the diagnosis is actually a licence to live. Jordan and Lucy have said they’re considering having IVF so that doctors can screen his sperm for the dementia-carrying gene. If you’d like to contribute to Jordan’s bucket list fund you can do so here.